Magnolia Circle is a certified EarthCraft property, making it environmentally friendly and saving tenants up to 50% on their energy bills. 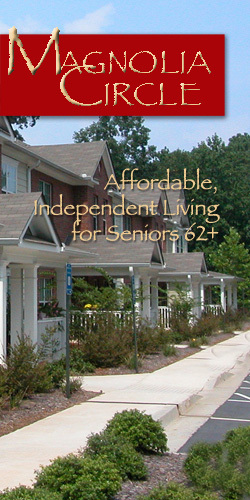 Call 404-243-1553 for leasing information. 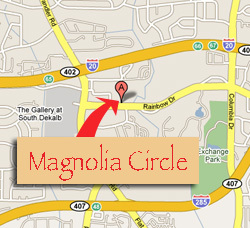 Magnolia Circle is located in South DeKalb County at 100 Dash Lewis Drive, Atlanta, GA 30034. To get to Magnolia Circle: Take the Candler Road exit on I-20 East, go south one traffic light to Rainbow Drive and turn left. Dash Lewis Drive and Magnolia Circle are approximately 1/4 mile on your left. 580 sq. ft., Rent starting from $565/mo. 743 sq. ft., Rent starting from $680/mo.